Minerva Canada’s numerous volunteers and stakeholders witnessed significant progress on new initiatives started this year. Our most ambitious initiative of developing Health and Safety Teaching Modules for engineering students got underway in March – we have eight Canadian universities developing 11 modules which will be piloted in various engineering classes next year. This year, we also saw over 150 engineering professors participate in our one-day Learning Forums and workshops held at five universities (Alberta, Laurentian, Western, Ryerson and Montreal Polytechnique). This format, in visiting various university campuses, provided more participation from academia and we will continue doing more of it next year. We also received valuable input for using our case studies from business professors attending the Inter-Collegiate Business Competition at Queen’s University. In 2013, Minerva Canada continued to be actively involved in providing seminars and sponsoring projects at our Canadian engineering schools. We also succeeded in raising the necessary funding from industry, government and professional associations to allow Minerva to proceed with its second round of Teaching Modules. I was also pleased to see many new financial sponsors in 2013 for our numerous educational programs and activities. 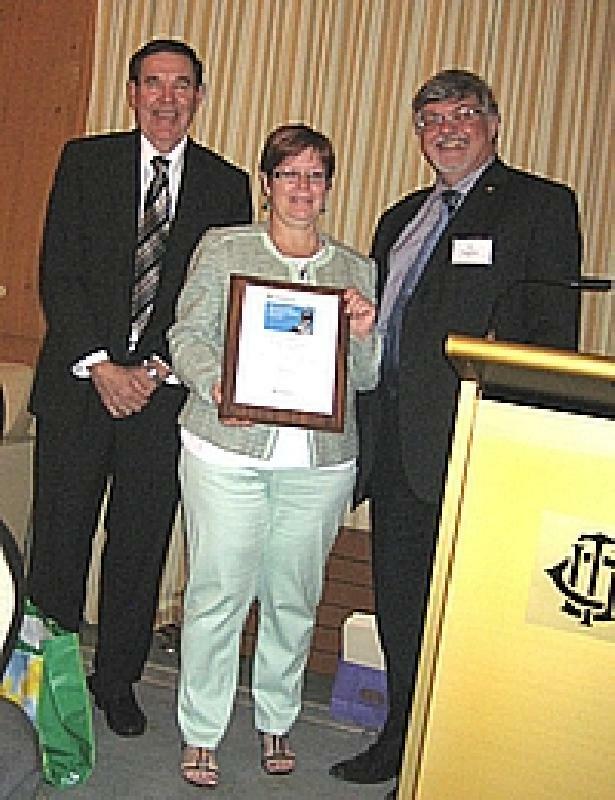 And finally, I was very honoured to hear that I would be receiving the 2013 Citizenship Award in November from the Professional Engineers of Ontario and the Ontario Society of Professional Engineers for my work with Minerva Canada. In fact, this Award is really a tribute to our many volunteers from industry, government, academia and H&S professional associations who make up our Board of Directors and Working Groups and who deserve equal recognition for their endless assistance and support behind Minerva Canada. I am also very grateful to our many sponsors whose continued support and financial assistance make our efforts at Minerva Canada to advance Health and Safety education possible. Without this support, Minerva would not exist as an organization. I hope you will enjoy this edition of Minerva Update. We welcome your comments and suggestions by contacting us at minerva@safetymanagementeducation.com. Participants of the 2013 Learning Forum at Ryerson University, Toronto. The how to’s of putting health and safety in the forefront of the minds of university professors and students was once again supported by Minerva Canada through its annual Learning Forums, sponsored by a number of corporations and organizations. New this year was the program’s reach – some 150 engineering professors attended one-day forums held at Laurentian University, Western University, Ryerson University and the University of Alberta. Each left with a stronger grasp of the importance of teaching health and safety management concepts to their students and with an introduction to the many valuable resources from Minerva to help them integrate core principles into engineering curricula. 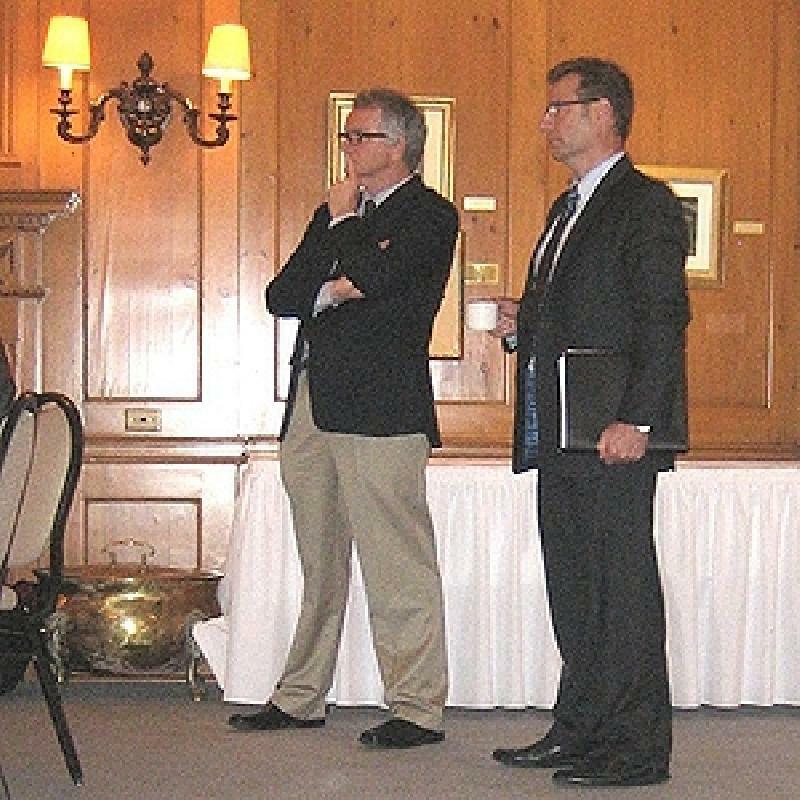 Minerva Canada’s Tony Pasteris and Graeme Norval of the University of Toronto spoke about the Teaching Modules for engineering students initiative at all 4 Forums hem? The Forums also saw considerable participation and presentations from member firms of the Chemistry Industry Association of Canada (CIAC). “We are grateful to Bob Masterson, CIAC Vice President Responsible Care, for his assistance in getting some of our Forum speakers,” says Pasteris. In keeping with Minerva’s objective to include students themselves in the program, our James Ham Safe Design Award was presented to this year’s winners at the Western and Ryerson Forums on May 9 and 15 respectively. The Minerva Educational Awards of Honour were presented as well at an evening reception following the Ryerson Forum. For information about next year’s forums, contact us at minerva@safetymanagementeducation.com. Key themes, presented by industry, government and academia, ranged from instilling a culture of safety in and out of the workplace, to risk management in engineering process design, to human factors and ergonomics. Panel discussions were also held on integrating core principles into curricula. DuPont’s mantra “The goal is zero [accidents/injuries]” was changed in 2013 to “Committed to zero”. Of the causes of injuries – unsafe conditions and unsafe behaviours – it is unsafe behaviours that tend to be more prevalent (96% of injuries derive from unsafe acts, 4% unsafe conditions). Why does good safety = good business? Lower absenteeism, lower manpower costs, less equipment repair, lower insurance costs, satisfied shareholders and happier employees. A 2008 Canadian study showed that the ROI (return on investment) for health and safety programs in the workplace ranged from $1.50-$6.50 for every dollar spent. Other studies have shown: 20% more revenue per employee, 4% higher profit, 16% higher market value, 27% reduction in sick leave, 32% reduction in workers’ compensation and disability management costs. Additional benefits: happy customers and good company reputation, lower staff turnover, less employee stress and absenteeism, engaged employees, increased productivity, less paper work, fewer injuries and reduced legal fees and insurance premiums. What employers today want from graduates is to see them prepared to hit the ground running – to engage in health and safety conversation and develop solutions through safer design. Coordinated by Professors Shahzad Barghi and Ralph Buchal, the Minerva Western Learning Forum was hosted on May 9, 2013 by the Faculty of Engineering at Western University. Attendees were welcomed by Professor Hesham El Naggar, Associate Dean Research and Graduate Studies and Professor Ajay Ray, Chair of the Department of Chemical and Biochemical Engineering. The Forum attracted 44 attendees – including faculty members and graduate students from the University of Waterloo, University of Toronto, Guelph University, McMaster University, Western University, Lambton College and Fanshawe College as well as engineers from Nova Chemicals, Sarnia- Lambton Research Park, CF-Industries, MIRARCO, Trojan Technologies, Bruce Power, Imperial Oil and Lanxess Canada. Industry and academic experts gave interactive presentations on a wide range of topics in Safety Engineering, Risk Assessment and Management, providing many real life examples and case studies. Attendees were also provided with extensive teaching resources compiled by Minerva. Overall, the Forum was very successful in raising awareness of the importance of safety and health education. 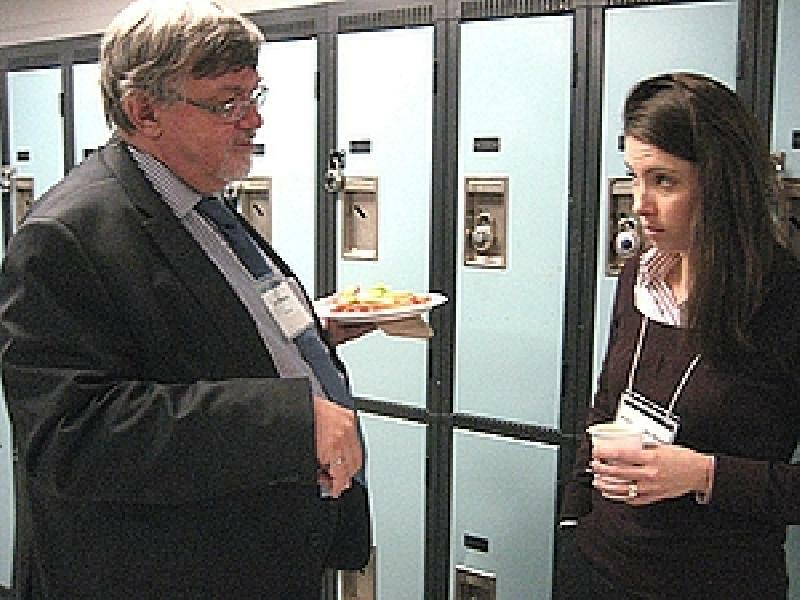 The Minerva Canada Laurentian University Health and Safety (H&S) Learning Forum was coordinated by Professor Philip Dirige and held May 2, 2013. Sponsored by Minerva Canada, the one-day forum had two key objectives: to demonstrate the variety of tools and materials available for introducing safety into the curriculum; and to discuss student teaching learning modules that will address the Canadian Engineering Accreditation Board (CEAB) safety requirements. The Forum was attended by 25 participants and seven speakers. Attendees included Professors, Lecturers and Instructors from Laurentian University, College Boreal and Cambrian College, graduate students, and representatives from H&S associations. The presentations covered a wide array of H&S issues from industry, government and academia representatives, including H&S culture in and out of the workplace, occupational H&S management, process safety management (PSM) and a discussion of H&S teaching modules for engineering students being developed by Minerva and eight universities. We believe that these modules will address the new Canadian Engineering Accreditation Board (CEAB) safety requirements. The Forum also provided an opportunity for Professors, Lecturers and Instructors to network and discuss how best to introduce H&S into the curriculum. They were provided with various teaching materials and tools to use in their courses. 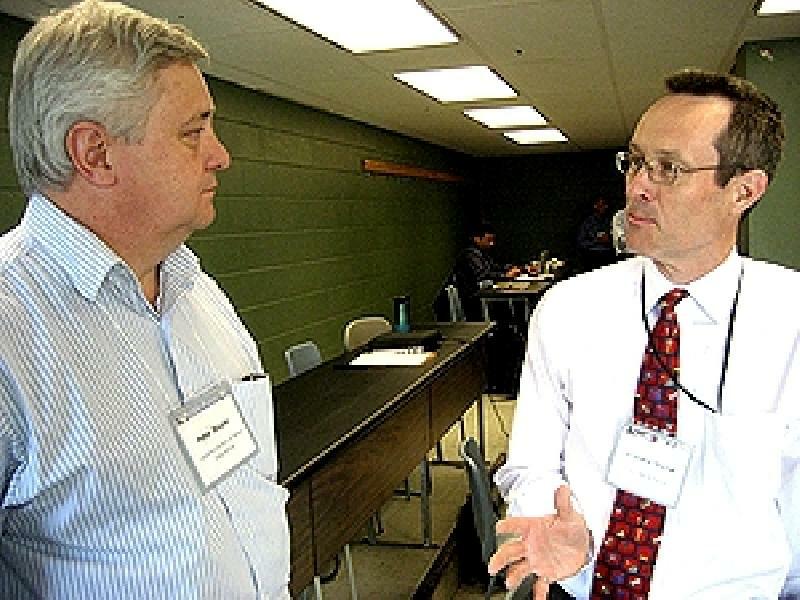 The Forum benefited Professors, Lecturers and Instructors who have not been exposed to industrial safety standards and H&S management systems and regulations. Attendees left with a better understanding of H&S fundamentals and the business case for H&S. 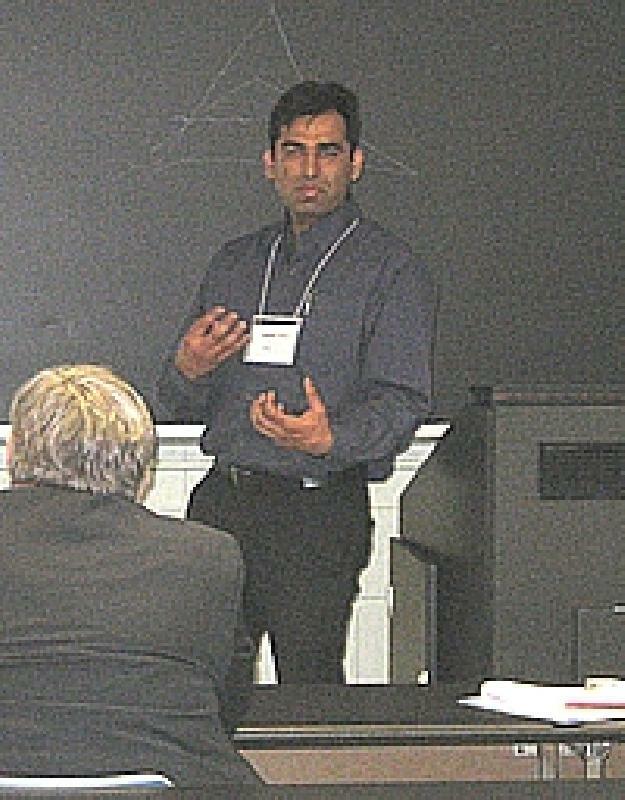 The Learning Forum at the University of Alberta was hosted on May 24, 2003 with attendees from industry, university facility departments, academia and government associations. In addition to professors from various engineering departments, leadership from the University Risk Management Services Division also attended and lent support to many of the topics being covered. Government representatives from “Work Safe Alberta” were also there to promote the inclusion of safety and risk management subject matter into engineering curricula. The session opened with the University of Alberta Dean of Engineering showing leadership and support for the good work being done across Canada to incorporate safety and risk management into engineering faculties. This was followed by a presentation that highlighted the synergy between the good work being done by Minerva and the existing safety and risk management courses being taught the final year engineering students at the University of Alberta. The core of the Learning Forum agenda included presentations by local students, Minerva engineering leaders and industry representatives covering such diverse topics as managing occupational health and safety, instilling safety cultures, asset integrity, the integration of HAZOPS into design courses, and opportunities for improving the engineering curriculum with safety and risk management topics. A presentation on University laboratory safety shared successful approaches for reducing the risk to students in these environments. “The Minerva Learning Forum has again provided valuable insights and proven techniques, for improving engineering education with safety and risk management as a core competency,” says Learning Forum host Gord Winkel, Chair and Industrial Professor for Engineering Safety and Risk Management at the University of Alberta. All participants agreed that the day was a good investment of time and energy to advance this important work. Phase 1: This defined what first year engineering students should be exposed to in health and safety including the WorkSmart Campus e-course, designed to teach occupational health and safety principles and the importance of effective management of safety in the workplace. Ontario’s Electrical Safety Authority assisted Minerva to create a basic electrical safety add-on to WorkSmart Campus. Phase 1 also introduced WorkSmart Campus at some of the pilot universities. Phase 2: The Chemistry Industry Association of Canada (CIAC) and Workplace Safety and Prevention Services assisted by conducting a first-of-its-kind survey of their memberships that was designed to understand what firms would like to see in terms of H&S knowledge and skills when hiring new graduates, garnering over 80 responses. The intelligence gathered from Phases 1 and 2 formed the basis of Phases 3 and 4, which are module content creation and implementation. 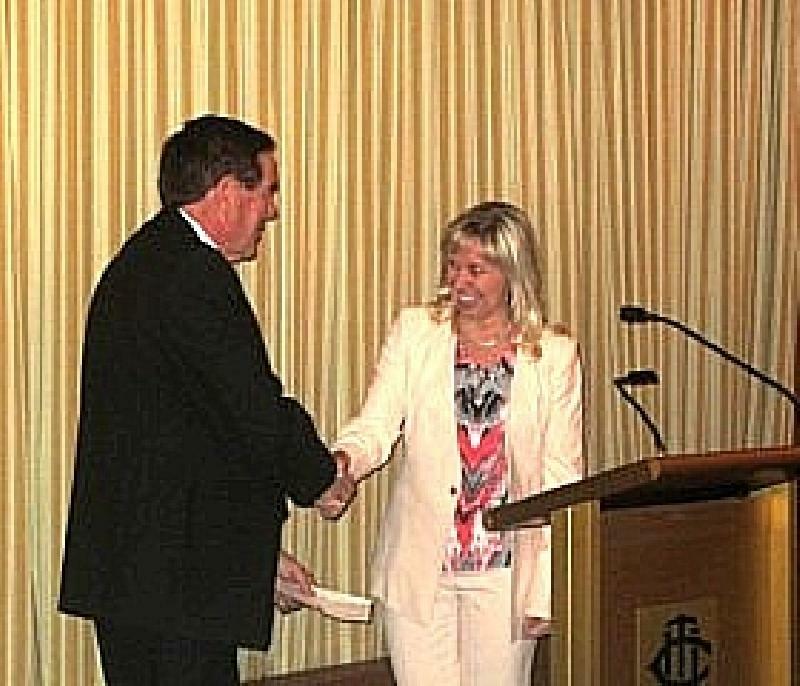 [right photo] Minerva’s President Tony Pasteris receives a $10,000 General Motors of Canada cheque from Lynn Smith at the Minerva annual awards dinner in Toronto that followed the Minerva Ryerson Learning Forum. “The CSSE and General Motors of Canada, as Minerva founding members, continue to actively support the work of Minerva Canada in its student awards programs and in developing, promoting its Teaching modules and case studies into the curricula for engineering and business students. We very much appreciate all this support from them.” says Pasteris. The estimated three-year $250,000 project, which began in 2011, includes participation from academia, Minerva’s key industry and government supporters and Mitacs, a not-for-profit organization that provides research grants to universities based on an industry need. “We have received tremendous support from industry, organizations and academia,” says Minerva President & CEO Tony Pasteris. “In addition to Mitacs funding, we have received a grant from the Ontario Ministry of Labour, and special added funding from DuPont Canada, General Motors, the Canadian Society of Safety Engineering (CSSE), Imperial Oil Limited and Bruce Power, specifically earmarked for this project. It’s a testimony to the importance that Minerva supporters place on the initiative.” Other important financial sponsors of this initiative include Nova Chemicals, Shell Canada, Board of Canadian Registered Safety Professionals, Erco Worldwide, BASF, CF Industries, MIRARCO, Canada Post, Lanxess, Chemtrade Logistics, Chemistry Industry Association of Canada and H.L.Blachford. The project has also received support from the National Council of Deans of Engineering and Applied Science, which recently sent a letter to its membership via Engineers Canada, inviting deans to participate in Phase 4. The learning objectives and outcomes and module structure. Importance of the subject matter to the graduate engineer. The fundamental theory, existing literature information, material and some historical perspective on the subject matter. The practical applications of the subject matter and its theory used within industry. Safety issues and problems experienced within industry and risk mitigating measure put in place. This will apply to some of the modules. Lessons learned from past events leading to new technologies. Challenges and opportunities from industry. Project assignments and reading reference material. An exam, test and multiple-choice quiz to test if learning objectives were met at the end of each module. Backup instructor notes and answer to exam questions will also be provided. For information about the modules and how to support this initiative, contact us at minerva@safetymanagementeducation.com. Tony Pasteris at a ceremony in May. The Award with be presented at a gala on November 23 in Toronto. Science Associate Chair, University of Toronto, were each presented with a cheque for $1750 at the Minerva Ryerson Learning Forum at Ryerson University. project with the engineering professors in attendance. 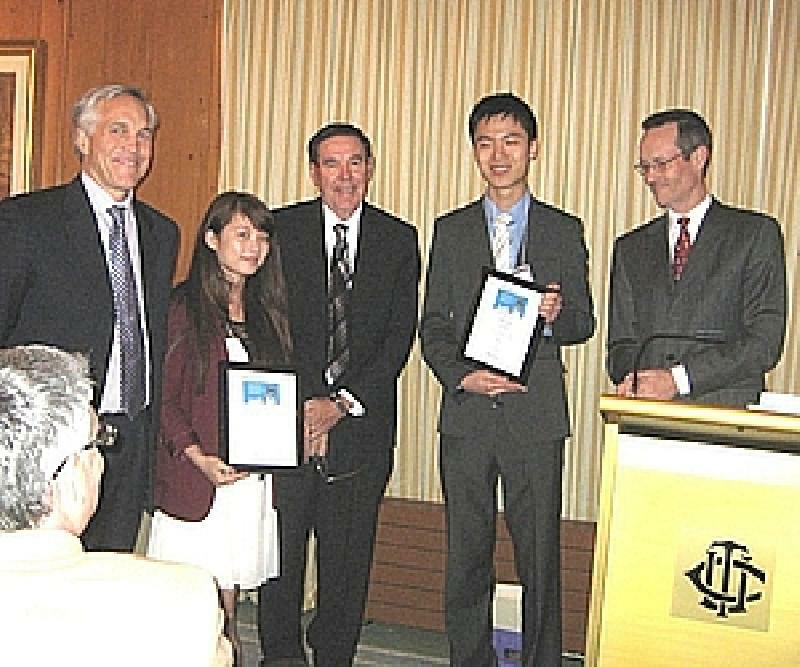 Toronto), Sherri Cui, Tony Pasteris (Minerva), Shen Wang, and Dr. Graeme Norval (University of Toronto) at the plaque presentation ceremony. 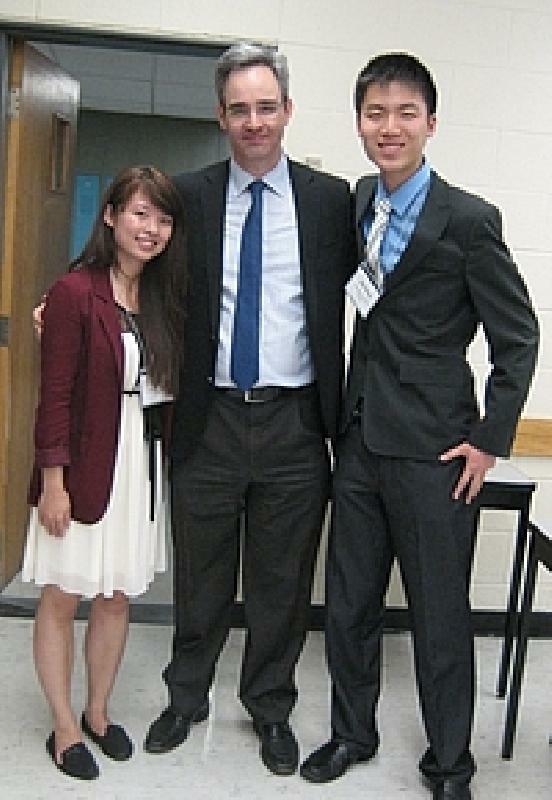 Congratulations to University of Toronto Engineering Science students Sherri Cui and Shen Wang for winning the 2013 James Ham Safe Design Award for their innovative mobile health and safety app. The annual competition challenges Canadian university engineering students to make an original contribution toward integrating safety into engineering design. Cui and Wang received a team cash prize of $3,500 for designing the app, which addresses and makes workers more aware of the risks associated with slips, trips and falls. The award was presented at the Minerva Ryerson Learning Forum at Ryerson University, Toronto, in May. The award honours former U of T Engineering Dean James Milton Ham whose Royal Commission Report on Health and Safety led to the creation of Ontario’s Occupational Health and Safety Act in 1979. 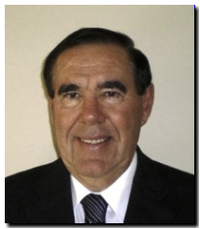 Professor Ham served as Dean of U of T Engineering from 1966 to 1976 and as U of T President from 1978 to 1983.
discuss their project at the May Learning Forum at Western. The team of Prasadh Annalingam and Gregory DeTina, engineering undergraduate students at McMaster University in Hamilton, took second prize for their design of a guard system for wood chippers using radio frequency identification tags and readers. 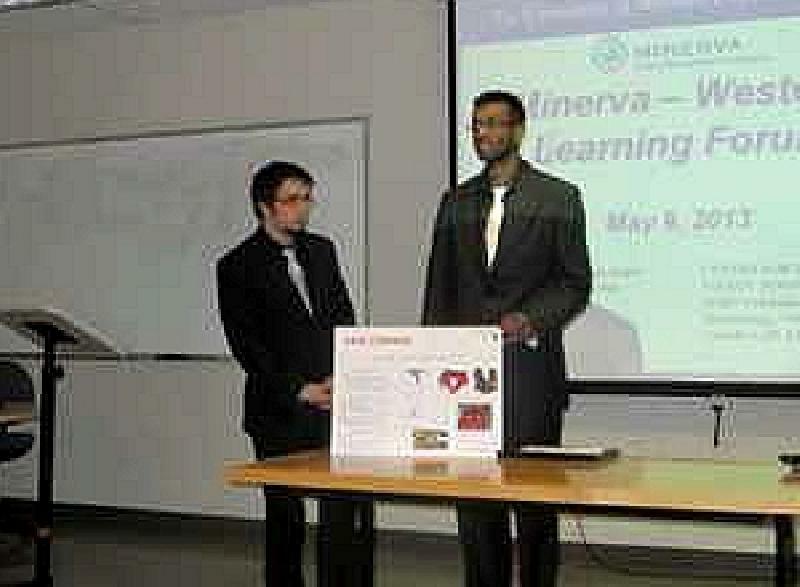 The runner-up team received $1,500 at the Minerva Western Health and Safety Learning Forum in London, Ontario in May. Susan: I you a picture of these students Minerva would like to thank judges Lynn Smith, General Motors of Canada, Vic Pakalnis, MIRARCO Mining Innovation, Laurentian University, Dave Meston, Joyce Carrington, Workplace Safety & Prevention Services, and Manny Marta, Process Safety Engineer, Nova Chemicals (Sarnia), for their efforts in reviewing a record number of submissions. 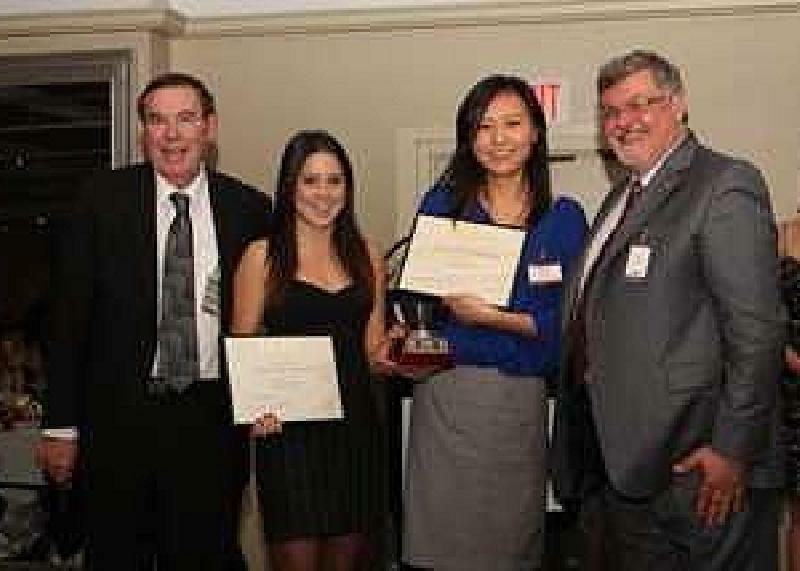 (l-r) Tony Pasteris, First Place winners Jacqueline Crapper and Kathy Kang, and Vic Pakalnis. Once again, Minerva Canada sponsored the Health and Safety Human Resources event at the Inter Collegiate Business Competition (ICBC), Canada’s premier undergraduate business case competition which brings together the brightest students from top business schools across North America, Asia and around the world. Held at Queen’s University in January, Minerva Board members Lynn Smith, Frank Saunders, Nina Mankovitz, Peter Sturm, Vic Pakalnis, and Minerva Canada Chairman & President Tony Pasteris acted as judges of the six student team presentations. Dr. Deborah M. McPhee, Associate Dean – Undergraduate Programs & AACSB Accreditation and Associate Professor of Human Resources Management, Brock University, wrote the final case studiesstudy for the competition. Final round competitors are given four and a half hours to prepare a 15-minute oral presentation before the judges. In addition, the final round includes an entertaining debating event. Minerva Canada never loses sight of its most important audience – the students who will become industry leaders. 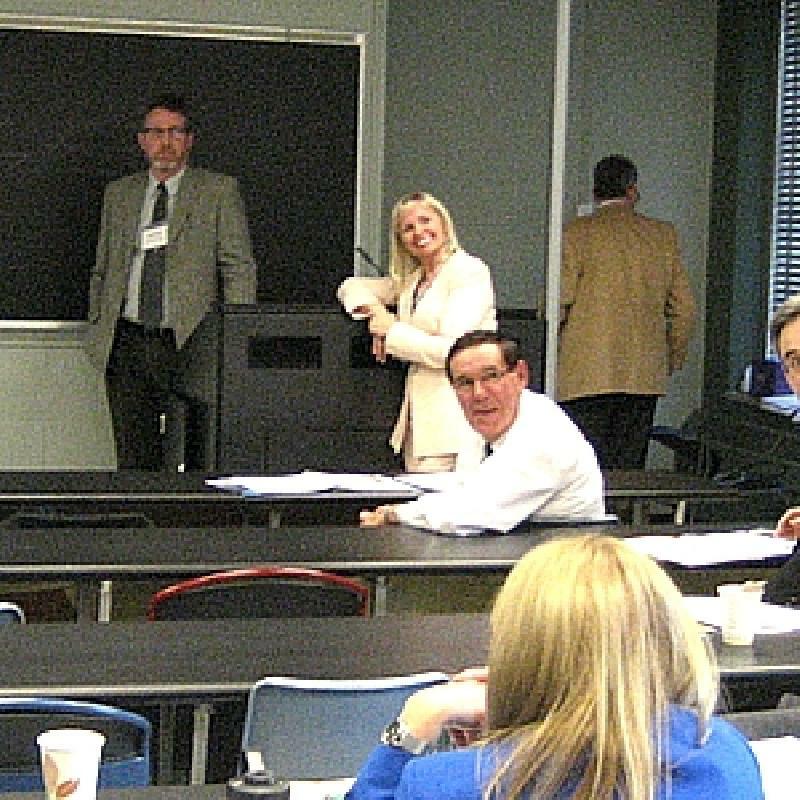 Always in attendance at our Learning Forums, they hear directly from business leaders and interact with academic attendees. But that’s not all. Minerva reaches out directly to students through workshops. For example, in November, Minerva board members Lynn Smith, Maria Papoutsis and John Foster provided an industry and government perspective to first-year University of Toronto engineering students – many of whom have no workplace experience whatsoever. 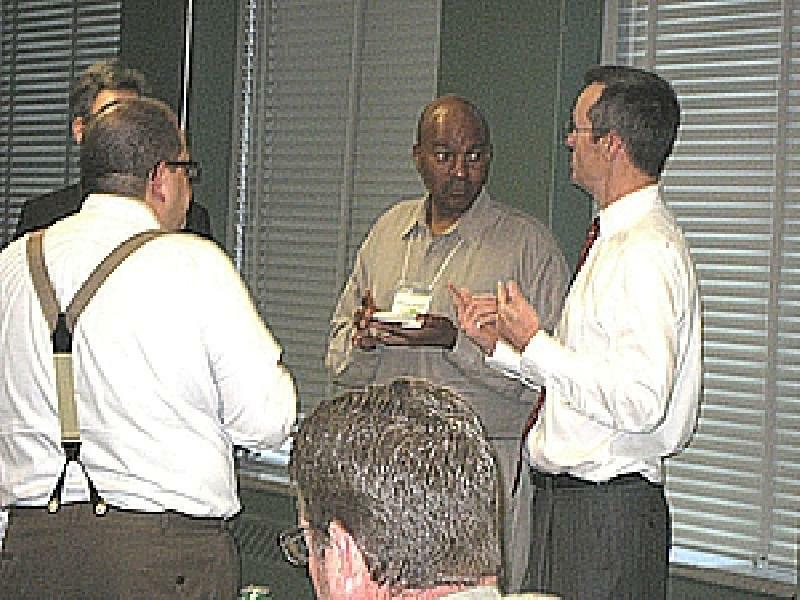 Three separate workshops covered the concept of process safety and process safety management; a case study involving a fictitious restaurant which sparked discussion about workplace violence; and discussion surrounding General Motors’ leadership and support of projects in which safety issues are particularly salient. Also included was discussion about a video covering a dust explosion. The workshops were rewarding for all concerned. The 25-30 students were from varied disciplines – chemical, civil, mechanical, electrical, and mineral and materials science – and were appreciative of the perspectives they received from government and industry people who are out working in the field. 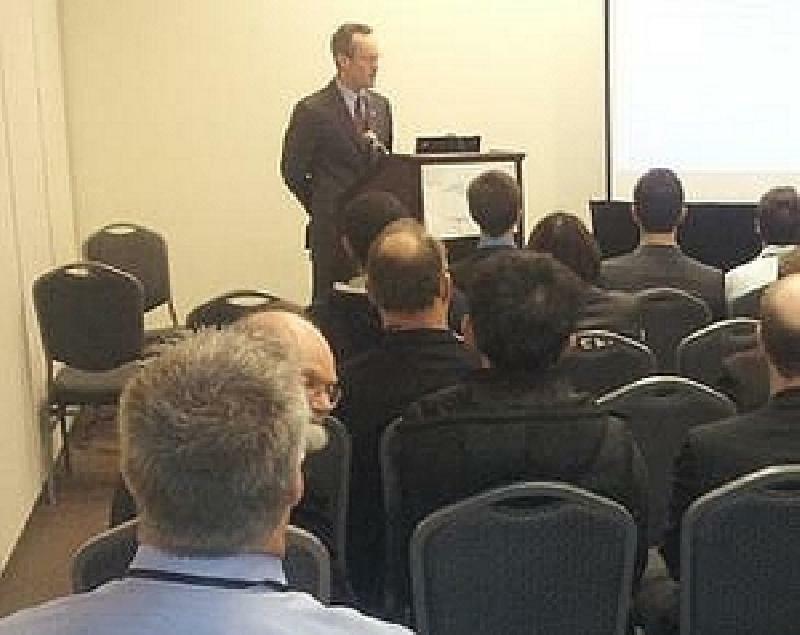 Graeme Norval, Associate Chair and Undergraduate Coordinator, Department of Chemical Engineering and Applied Chemistry, University of Toronto, presents at the 63rd Canadian Chemical Engineering Conference, where he received the 2013 Process Safety Management Award. 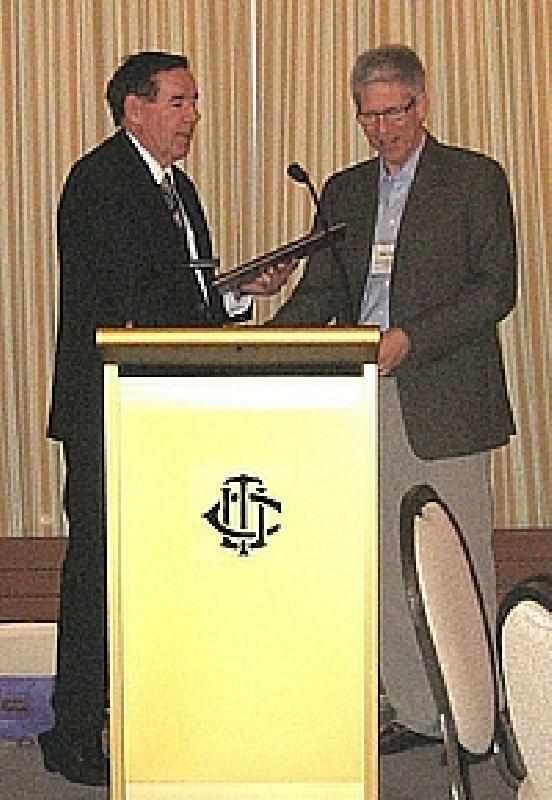 Congratulations to long-time Minerva Learning Forum Chair Graeme Norval, University of Toronto, for winning the Canadian Society for Chemical Engineering (CSChE)’s 2013 Process Safety Management Award. The Award, presented in recognition of outstanding contributions to the Process Safety Management (PSM) Division of the CSChE, and for excellence in the leadership and dedication of individuals who have led Canada in the field of process safety and loss management (PSLM). “Congratulations to Graeme on his well-deserved award,” echoes Manny Marta, Process Safety Engineer, Nova Chemicals (Sarnia), who attended the 63rd Canadian Chemical Engineering Conference, Fredericton, NB in October, where Graeme was presented with his Award. Chief Prevention Officer George Griziotis and the Minister of Labour initiated a falls hazards blitz in the construction sector in response to the recent spate of fall fatalities in Ontario, including a province-wide enforcement initiative targeting hazards of sloped roofing at low-rise residential construction sites. The Ministry of Labour released Worker Health and Safety Awareness in 4 Steps, a component of a suite of products that has been developed by the Ministry to meet its commitment for mandatory health and safety awareness training in the workplace. The other components include an awareness poster, the Supervisor Health and Safety Awareness in 5 Steps workbook and employer guide, and e-learning modules. “The modules are targeted at a grade 5 level of literacy. The Minerva modules will be the only training targeted at post-secondary level students,” explains Ontario Prevention Council member Graeme Norval. 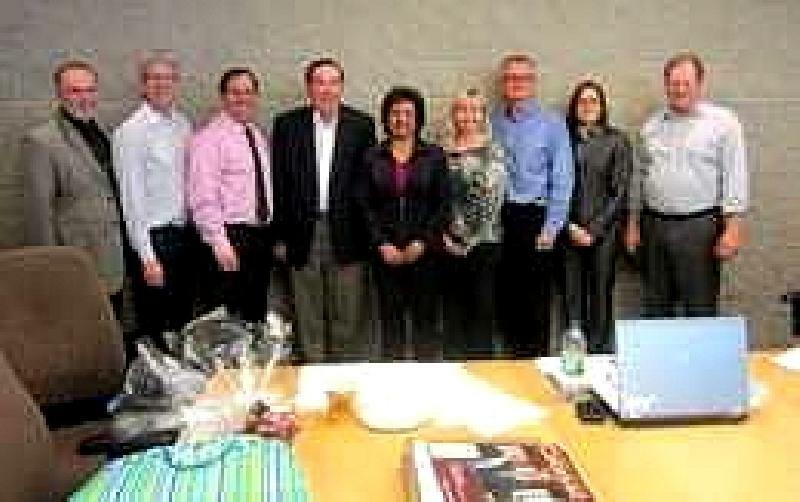 May 13-14, Mississauga – Peter Sturm and Tony Pasteris presented an update of its Teaching Modules initiative. Many attendees were from Canadian CRSP teaching institutions and can benefit from Minerva’s teaching modules initiative. Minerva workshop, June 17, Montreal – Graeme Norval, Wendy Tobin, DuPont, and Tony Pasteris presented Canadian Association of Labour Legislators – Occupational Health and Safety –Renzo Dalla Via made a presentation on nanotechnology and promoted the Minerva Teaching Modules to this group of government personnel across Canada. Renzo Dalla Via made a presentation on nanotechnology and promoted the Minerva Teaching Modules to this group of government personnel across Canada. Congratulations to DuPont for receiving the prestigious Robert W. Campbell Award. The award selection process includes rigorous assessments such as site visits and comprehensive evaluations of an organization’s integration of its EHS management system and the impact it has on the bottom line. The Award is promoted by an international partnership of 21 organizations, including Minerva Canada. It seeks nominees worldwide and Minerva reviews two submissions each year. 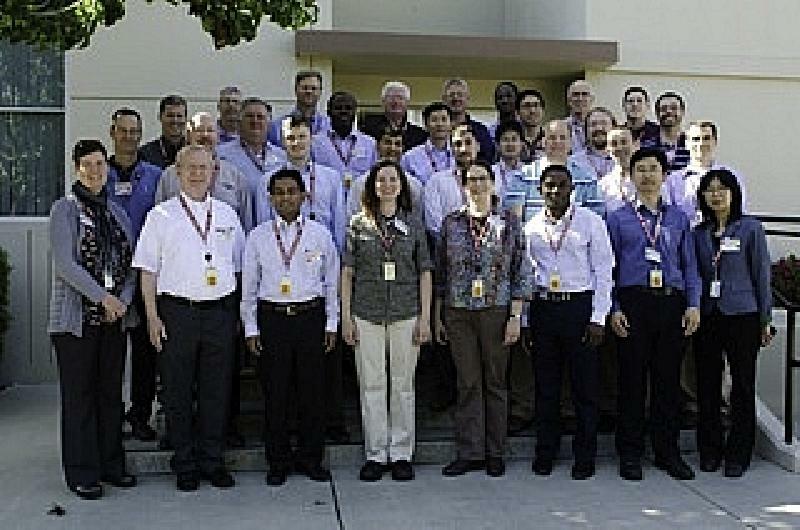 Chevron hosted the Safety and Chemical Engineering Education group at their Richmond Refinery (August 2013). “The main themes from Chevron are the same as those from Canadian chemical, petroleum and manufacturing companies: students need to have a broader understanding of safety and safety management when they leave university; companies are committed to zero incidents and the use of inherently safer design techniques should be part of all engineering curricula,” explains attendee Graeme Norval. Chevron has agreed to host again next summer. The new Design Engineering Chair at the University of Manitoba has allowed the Faculty to continue its close association with industry. This has enabled the use of industrial personnel to help reinforce the importance of safety to our students. An example of this are the presentations that industry has made at HIRED events (weekly gatherings where industry representatives talk directly to the student body). Through this activity, approximately 400 students have participated in safety training. This is becoming an important part of the preparation for students before they participate in the co-op program. The University of Manitoba has also participated in the development of the Minerva safety training modules. Colleen Flather, PEng, has been working to develop a training module that demonstrates the impact of ethics on safety practice. This module is nearing completion. Finally, the Minerva Safety Award continues to be a mechanism to recognize students who incorporate a significant safety component in their Capstone design course. Professor, Electrical and Computer Engineering Dept. We would like to welcome our new Meeting Coordinator, Joyce Carrington, and say a heartfelt goodbye and thank you to Beulah Burtles (fifth from right), for her excellent service to us. 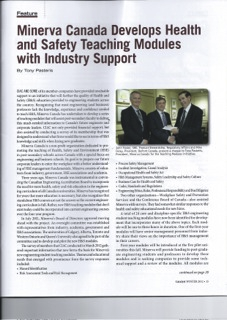 Minerva Canada’s sponsors from industry, academia, government and H&S associations include a growing list of organizations committed to principles that combine efficiency and productivity within an effective Safety, Health and Environmental Management (SHE) culture. Minerva Canada was initiated in the mid eighties from Project Minerva, first started in the USA by NIOSH. We extend a special note of appreciation to the five founding sponsor organizations of Minerva, with which we continue to enjoy a fruitful relationship since the mid to late eighties. An e-course for teaching health and safety management, including an e-test that can be used to confirm compliance with Graduate Attributes. Largest health and safety association in Canada with excellent resource material. A one-stop site for H&S resources and partners. Building tool for students to self-assess leadership attributes, both individually and team wise, that will allow them to track progress over the years and give them tools to grow and develop. Includes stats on electrical safety in Ontario. Excellent international resource of research in the science and technology of human safety. Provides excellent resource material on responsible care and transportation safety within the chemical industry. The Minerva Canada Learning Forums: In 2014, Minerva is planning several one-day Summer Institutes to showcase its Teaching Modules project. Confirmed universities to date: Dalhousie University, University of Waterloo, University of Ontario Institute of Technology. May 2014: Announcement of Minerva James Ham engineering student award winners. See how students can apply for 2014 award. 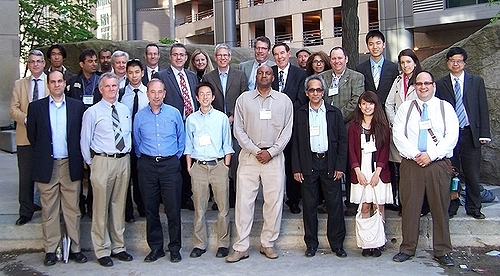 June 8-11, 2014: Canadian Engineering Educators Association Conference, University of Calgary. Visit www.ceea.ca/en/conferences for details regarding the conference and workshops. 1 877 494 9777 ext 2591.